It feels a bit like cheating on my longtime hairdresser to see another one, but I really wanted to check out this new business in Sydney! I had met Ann and Chris, the proprietors, at the Women in Business dinner I attended back in March in Sydney, and heard about how they were opening an all-green salon. I was, of course, immediately intrigued. Both of the women are longtime hairdressers and aestheticians, and had worked for other salons. Unfortunately they both sustained injuries from chemicals they came into contact with on the job. They both love what they do, though, and wanted a way to be able to continue snipping locks and applying facials, but in a way that was sensitive both to their own needs, and to the planet’s. 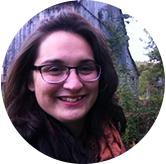 So with the help of the Cape Breton Small Business Development Centre’s training and mentorship, they started their own business, which opened its doors in April this year! Yesterday, despite having a cold and feeling a bit under the weather, I kept my appointment at the Green with Envy salon. Chris washed and cut my hair, then put some mousse in and dried it. My hair felt soft and refreshed after her treatments, and the price was great, only $28! We chatted about gardens, family and blackflies, and she told me about the line of hair dye they use, which I might try in the future. Overall, it’s a lovely little salon, and I’m happy to support the endeavours of two intrepid local women! 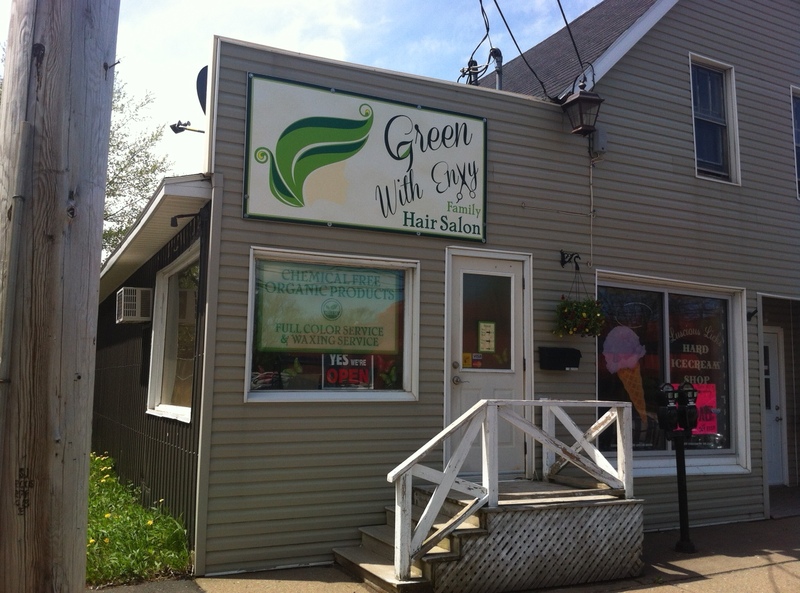 You can check out the Green With Envy salon on Facebook or call them: (902) 270-8044. They’re at 270 George Street. This entry was posted in Business ideas, Community, Women + kids, Work and tagged Cape Breton, Green With Envy, hair salon, Small business, Sydney, women. Bookmark the permalink. It’s great that small businesses like this are opening and keeping green… such a cute name!